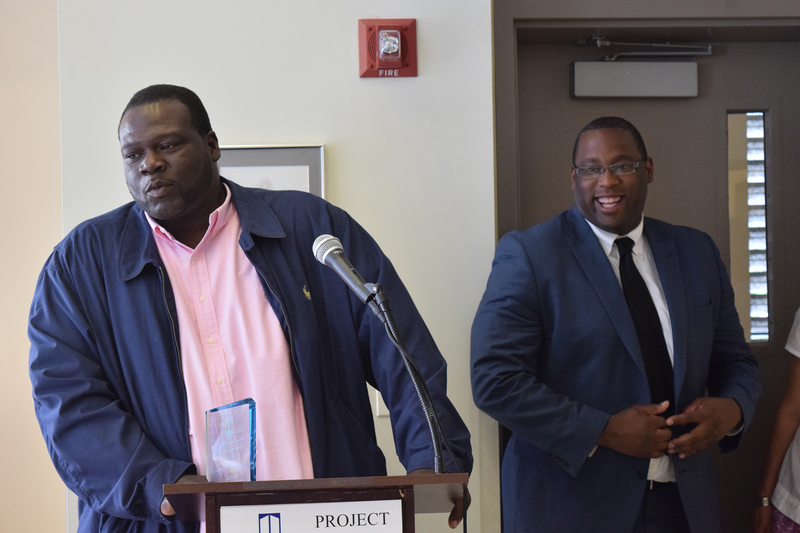 Project Place held its 48th Annual Meeting on June 17 at Project Place. Each year, we gather members of the Project Place family, friends, supporters and clients to celebrate the year’s accomplishments and acknowledge a few special individuals who work tirelessly to end homelessness. 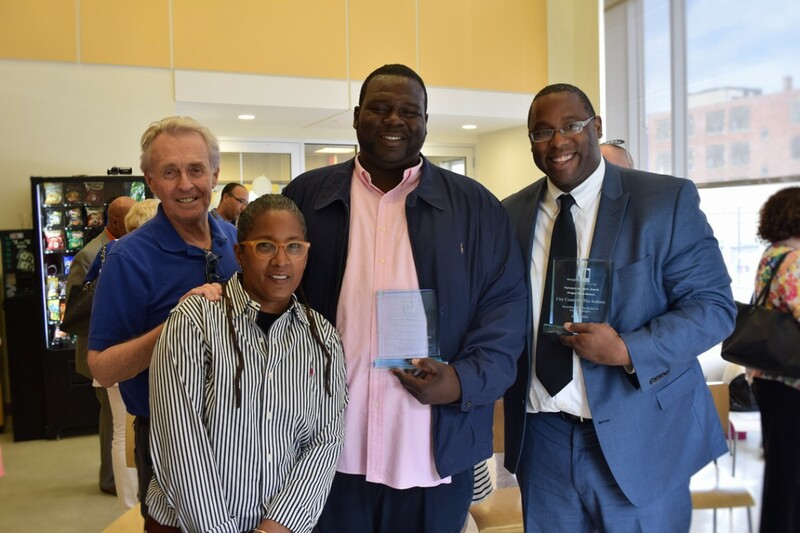 We were honored to present Partners-At-Work Awards to City Councilor Tito Jackson; President and COO of Eastern Bank, Robert Rivers; Volunteer of the Year, Aaron Lippert and Client of the Year, Ralph House. “Over the past year, we have worked with more than 1,000 highly motivated men and women who are taking the steps necessary to transition in their lives to a place of self-reliance,” said Project Place Executive Director Suzanne Kenney. “This type of work, while ultimately gratifying, is both difficult and resource intensive. We simply could not do it without the support of champions like the Eastern Bank Foundation. Additionally, Eastern Bank engages in targeted giving to multiple organizations working to end homelessness. Its support makes the work of Project Place possible, and is an inspiring example to the rest of the business community and others who want to provide jobs, housing, and hope to those working to stabilize their lives. Aaron Lippert is the founder of Gimme Shelter!, a benefit concert for Project Place. As a real estate agent at Keller Williams, Aaron organized the Boston Real Estate Community to perform and support the first event in 2011. Now in its 5th year, Gimme Shelter! raises critical funds to directly support Project Place’s programs and services for homeless individuals. The night would not have been complete without delicious catering from our Social Enterprise, Home Plate. Thank you to all the friends and supporters for contributing to our successful year. We look forward to another year of jobs, housing and hope at Project Place.